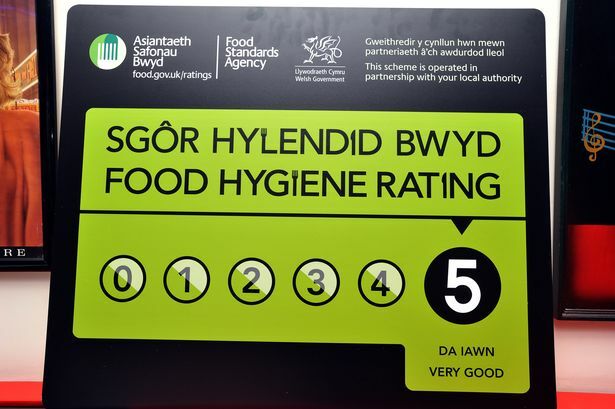 Food hygiene ratings are a highly useful resource for the consumer; a simple yet effective system that lets us know that our choice of food outlet prepares its products in a safe and hygienic way. All manner of businesses are required by law to display these ratings clearly at any UK premises, including everything from restaurants to hotels and even supermarkets, but one aspect of the food industry has, until now, somewhat evaded the watchful eye of the FSA’s system: takeaway leaflets. Now that I’ve been prompted to give it some thought, it does seem odd that takeaway leaflets and menus don’t make mention of the rating in any way; after all, if you’re ordering from home then the menu is, in a manner of speaking, the point of sale, so surely it should be subject to the same rules as the premises themselves? Apparently the Welsh government agrees, as they have brought new legislation into effect as of Nov. 29th 2016 which requires all takeaway businesses to print a bilingual statement directing consumers to a website where such ratings can be found. This must be displayed on printed material such as leaflets and menus, although printing the actual rating is not a requirement. This statement must also make customers aware that they have a legal right to request this rating when ordering via phone. The reason behind the decision not to force businesses to print the rating itself was based upon the fact that, should the ratings of a particular premises change, the expense of reprinting all necessary material would be substantial. Nonetheless, making it easier for customers to find and understand these ratings can only be seen as a step in the right direction.